Axiom's refined yet sleek design offers a day-to-night fashion option for the avid trendsetter. This timepiece features the intriguing detail of edge-to-edge glass, an 11 diamond dial, and date. 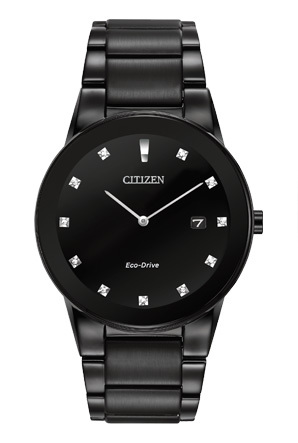 Shown with a black ion plated stainless steel case and bracelet with a black dial.